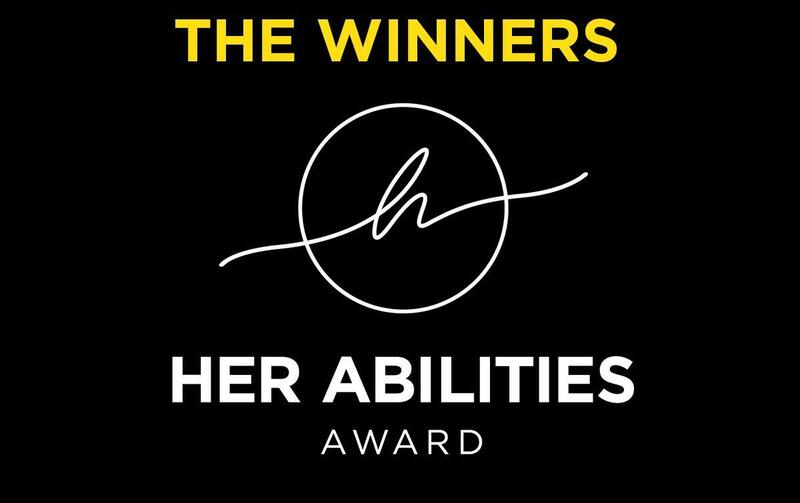 Find out about the winners of the Her Abilities Award, our initiative to honour women with disabilities. In March, we launched the Her Abilities Award along with our Senior Inclusion Advisor, Right Livelihood Award winner Yetnebersh Nigussie. Her Abilities is unique, much like the women it celebrates - it’s the first global award honouring the achievements of women with disabilities. The winners were decided by an influential jury of women with and without disabilities from different fields of life; from Mariam Doumbia, of blind musical duo Amadou & Mariam, to Judy Heumann, President Obama's first Special Advisor for International Disability Rights. After receiving hundreds of nominations from 52 countries around the globe, the high-profile panel chose three winners from Zambia, Bangladesh and Nigeria. The Award is split into three categories: Arts, Culture and Sport; Rights and Health and Education. The winner in Arts, Culture and Sport is Zambian filmmaker and human rights activist Musola Cathrine Kaseketi. She is Zambia's first female professional film director, with a strong focus on work which addresses social issues affecting women with disabilities. As a young child, a medical error paralysed one of her legs giving her mobility difficulties. As such, she initially trained as a disability equality facilitator with the International Labour Organisation before moving onto film. Her first film, Suwi ("Faith"), which she wrote, directed and produced, was screened widely in Africa as well as in several European countries, and was nominated for an Africa Movie Academy Award for Best Film. She is also the founder of Vilole Images, a nonprofit foundation which educates young Zambian filmmakers, began Zambia's first international film festival, Shungu Namutitima ("Smoke That Thunders"), and is an Advisor for the Zambia National Association for Women with Disabilities. In 2016, she hosted the first Zambian Conference on Gender-Based Violence and Disability after doing community screenings and workshops in six provinces across the country. Ashrafun Nahar won in the Rights category. She is the founder of the Women with Disabilities Development Foundation (WDDF) in Bangladesh, a country which is traditionally patriarchal and reports high levels of violence against women. The WDDF aims to give women with disabilities there a voice, and to create equal opportunities in education, employment and most significantly domestic policy-making. Ashrafun’s personal mission, herself a woman with a physical disability who has suffered marginalisation, is to ensure Bangladesh is a country where women with disabilities can live in a barrier-free society. Her hope is that by advocating for disability rights and establishing strong connections with Government, discrimination will be eradicated. The winner in the Health and Education category is Dr Toyin Janet Aderemi. Dr Ademeri is the first African woman with a disability to head the country office of an international NGO, and the first person in a wheelchair in Nigeria to study and practice pharmacy. Toyin was left unable to walk due to polio in her childhood, causing ill-informed relatives to believe she was possessed by evil spirits. Despite being advised to give Toyin away, her mother carried her around on her back until she managed to get a wheelchair aged 15. Toyin is an experienced disability-inclusive development practitioner and researcher, working to influence government and development policies for social inclusion. She has a background in public health, with expertise in disability-inclusive sexual and reproductive health and rights; and a PhD in Behavioural Medicine. The winners will join a celebrated network of other successful women who commit to finding opportunities to support each other in their further pursuit of justice, equality and excellence. Light for the World and the jury members will open our networks to ensure that the winners and their projects will receive more of the public attention they deserve. They will receive a certificate and a physical award, and we’re also in talks to provide a monetary award and a celebratory event next year. It is envisaged that the Award will become known worldwide for its reach, calibre and the example it sets. We’re looking forward to celebrating more of these exceptional stories when we open nominations for the Her Abilities Award 2019 on International Women’s Day, March 8th.